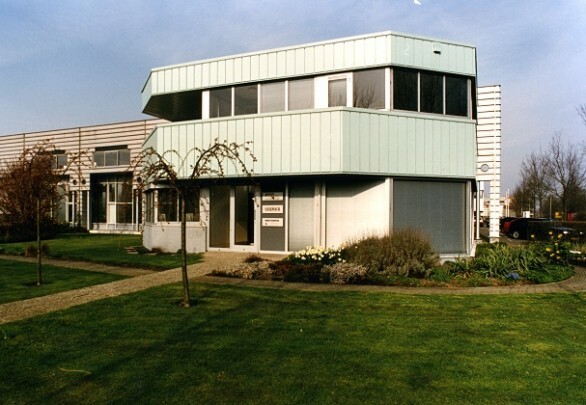 An existing factory with octagonal office was converted by Soeters into a fashion showroom. Setting back the office's new front in relation to the existing facade created a colonnade which with its cladding of ribbed steel sheets has a Classical look. In an interior full of mirrors pastel shades are geared to the trends of today. Each toilet is a rhapsody in pastel-tinted tiles!